Body Glide is the perfect skin protection balm and ideal for everyday work, travel & fitness activities including running. 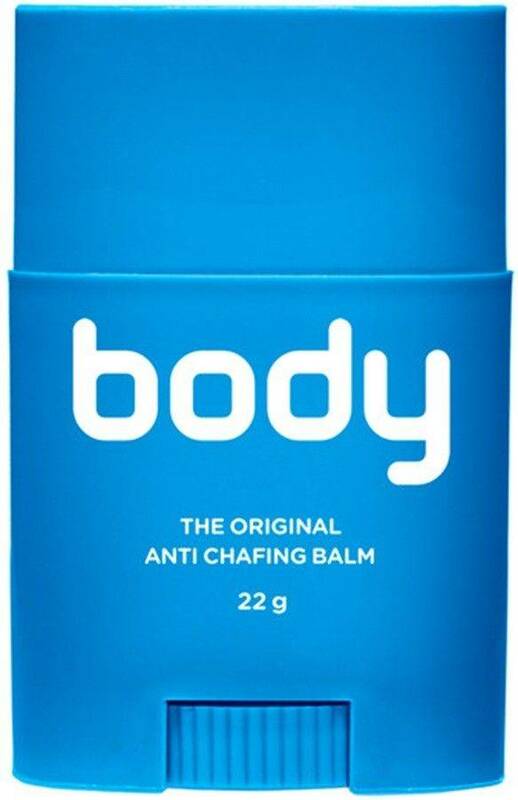 The balm is designed to protect you from chafing & skin irratation where clothing comes into close contact with skin. Body Glide (skin protection balm) is ideal for areas where rubbing from your undergarments and clothing is irritating or causes chafing. Body Glide is also great for your feet as it comes formulated with Vitamin F Forte that helps keep skin soft and moisturised. Around your clothing, on your thighs and feet, the plant-derived ingredients create a natural barrier to moisturise your skin, allowing it to breathe and perspiration to escape, while helping guard against irritation, chafing and blisters. Body Glide is easy to apply and comes in a clean and tidy container. Simply apply to skin before activity or prior placing clothes on and after just wash off with mild soap. Prevention is easier, faster, and costs less than buying first aid supplies, and waiting for recovery. The risk of rubbing is that it wears away your skin. A little may not matter much. But it does as minor irritation or rash advance to chafing, blisters, raw skin, and sometimes an open wound. You may be left with scarring. In the worst cases, the body is open to infection. Stopping skin irritation before it starts is the best way to control risk, maintain healthy skin and stay pain free. It’s why more people turn to Body Glide. Body Glide products stay right where you apply them, and do not block your pores. They allow perspiration to escape, vital to regulating your body temperature. The ingredients are plant-derived, many are custom blended natural waxes, and they don’t use cheap petroleum (petrolatum), mineral, vegetable oils, lanolin or any animal products or testing. To put it another way, Body Glide won’t offer you messy lotions, untested potions, or greasy, ineffective jellies. Proven reliability: Year after year, and around the world, the extent of the reliability of this product is demonstrated in sports. Marathon runners, cyclists, triathletes, and adventure racers depend on Skin Formula to see them through the toughest competition.